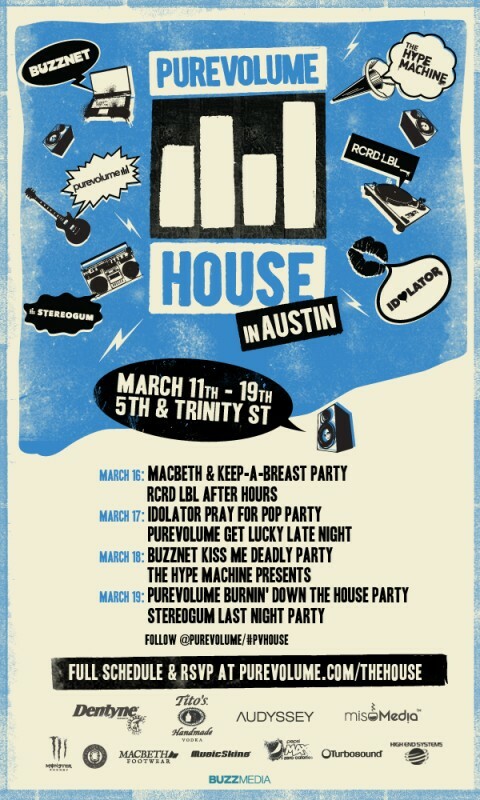 The Purevolume House in Austin will be hosting a series of SXSW parties from March 12-19, seven days jam packed with performances and special guests. Check out the full lineup and set times for all the parties after the jump. To RSVP to any of the events, all free and complete with an open bar, visit here.